Lenex Steel is excited to work with Quandel Construction and Hunt Construction on the Mt Carmel Grove City structural steel project located in Grove City, Ohio. 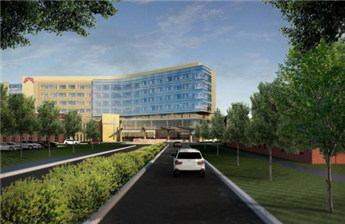 This will be a full-service hospital with a 24-hour emergency department and other comprehensive medical services. It will also include a 54,000 square foot medical office building housing primary care and specialty care physician offices, along with outpatient services like physical therapy and cardiac rehabilitation. For additional information about Lenex's work on hospital construction projects and in the healthcare industry, visit our Healthcare Projects section.